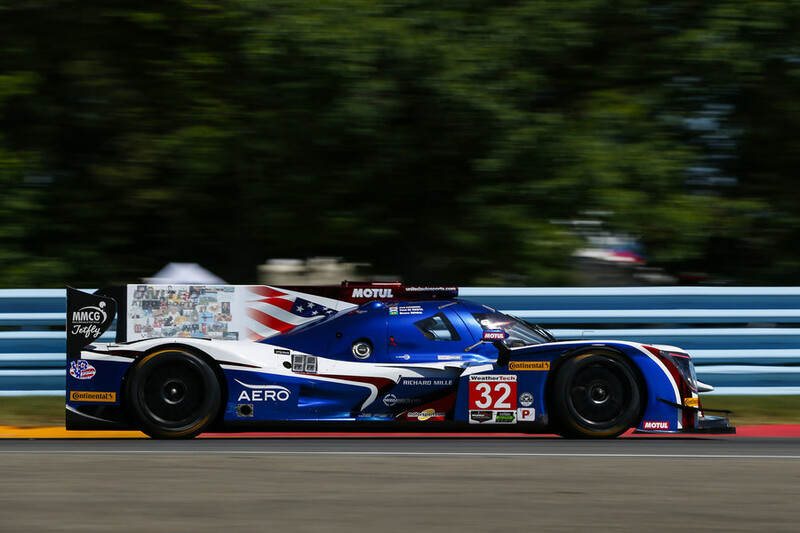 Phil Hanson scored another very strong finish in a major international endurance race with fourth place at the star-studded Sahlens Six Hours of the Glen at the world famous Watkins Glen, home to the United States Grand Prix from 1961-1980, yesterday (1 Jul). The 18-year-old Briton though left the circuit in upstate New York disappointed after a performance that looked set to leave him and United Autosports team-mates Bruno Senna (BRA) and Paul Di Resta (GB) in real contention for the overall win until rear end contact from another car late in the race. The team’s 600 bhp Gibson V8-powered Ligier JS P217 sports prototype had been a front runner throughout the lead-up to the race proper, starting from pole-position and leading on several occasions throughout the first five hours of the race. All three drivers took their turns to lead, Di Resta starting the race and taking the lead as the Ligier stayed in amongst the leading group but was able to go further on the fuel load. Phil was next aboard and put in an impressive run in searing heat, an air temperature of over 100 degrees with the cockpit seeing far higher heat levels. 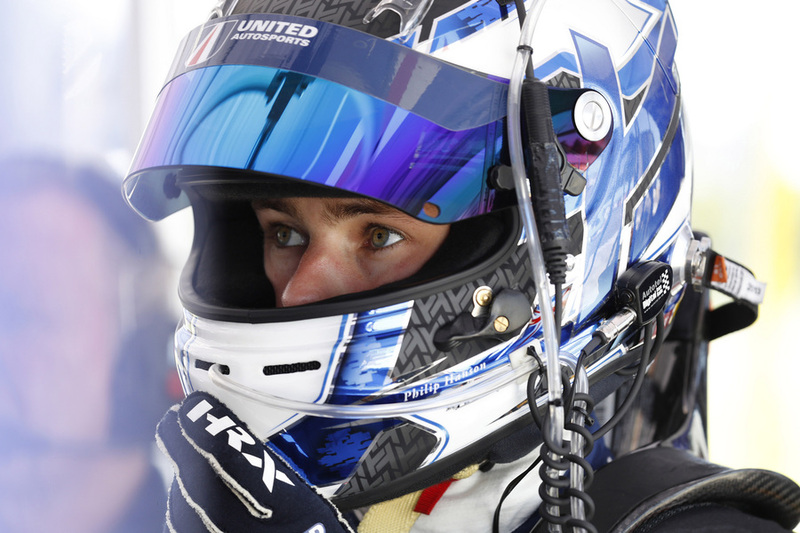 Despite the challenges of the heat, Hanson’s first visit to the Watkins Glen track, a high speed circuit with little run-off that demands perfection and punishes mistakes, produced another impressive display, a double stint saw him fend off previous North American Champion Jordan Taylor and take the overall lead twice, for a total of 10-laps, in a top-quality field. Bruno Senna then repeated the pattern leaving Di Resta to climb back aboard to complete the race. Di Resta, an ex-DTM Champion and Formula One driver, closed the gap to the leader while fending off another LMP2 car, a win looked very possible, a podium at the very least, until when the battling pair encountered traffic the Ligier took a hit from behind from the chasing LMP2 car. Di Resta pitted for attention, the rear diffuser damaged and a piece of carbon fibre fouling the rear left tyre. The team worked fast to get the car back out again but ground had been lost. A late caution period allowed the field to bunch up again and Di Resta took full advantage, closing in for another shot at the podium until, in the closing minutes, the damaged diffuser failed, leaving him no alternative but to drive for a safe finish - fourth the best that could be achieved. This was a tough one to take. We had a great car, ran a faultless race on-track with really good work in the pits from the crew and on strategy. To lose a potential podium, or even a win, due to this kind of contact is gutting. What happens on track should come down to pure racing so I’m personally very disappointed there was no action taken by the stewards concerning the incident involving our car. To get hit from behind, square on, is unforgivable. It’s a shame to see IMSA allowing cars to make contact in such circumstances to gain an on-track advantage, instead of overtaking cleanly. Not only did this incident cost us a position but also caused bodywork damage and a puncture. However, there are positives I’m taking back home. The United Autosports’ team performance was incredible and while I am disappointed not to have scored the result I’d hoped for, I can feel that my own performances are moving forward. It was a great feeling to find ourselves in real contention for a podium finish and to challenge myself to keep us there when the responsibility was on me.